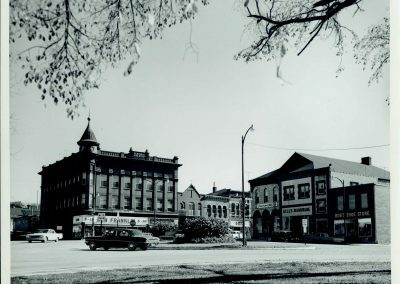 The Central Block, on the southeast corner of Fourth and Division Streets, is an excellent example of a historic building that has remained true to its original architecture and uses. 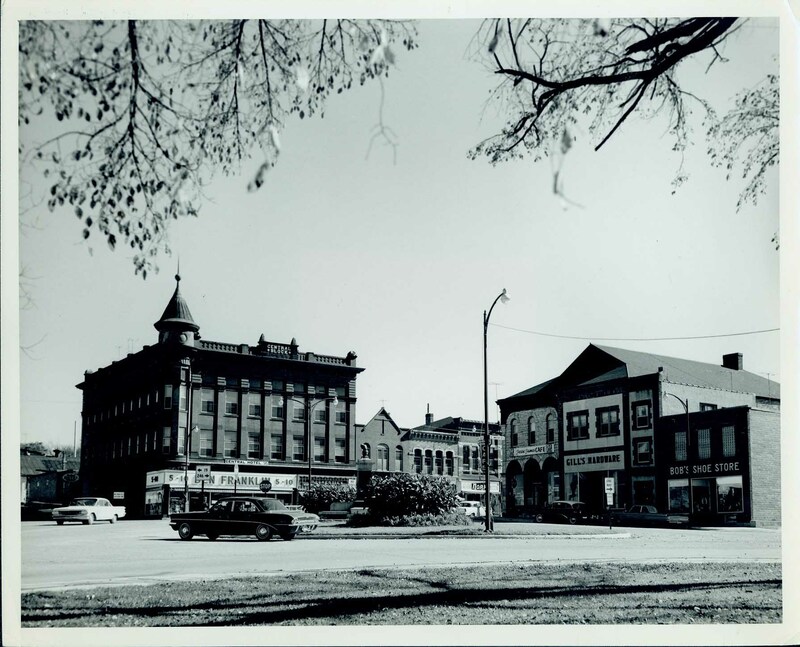 It stands in a location that has played a central role in the life of Northfield for more than 150 years. City founders John and Ann North built their first home on a portion of the lot. In 1876, the wood-framed Central House—later called the Dampier Hotel—occupied the corner. It was from the upper-story window of the Central House that medical student Henry Wheeler shot Clell Miller, one of the James-Younger Gang bandits, during the attempted robbery of the First National Bank. In 1893, brothers-in-law and business partners Louis Tschann and Frank DeGross decided to construct a block building on the site. Tschann asked the First National Bank for a substantial loan, and banker G.M. Phillips assured Tschann that he could borrow as much as he wanted. When the Bank Panic of 1893 took hold two months into the building’s construction, Phillips considered withdrawing funding, but Tschann held the banker to his word. Designed by Peter W. DeLancey, the Queen Anne-style, Romanesque building was completed in September 1893 and cost between $20,000 and $35,000. 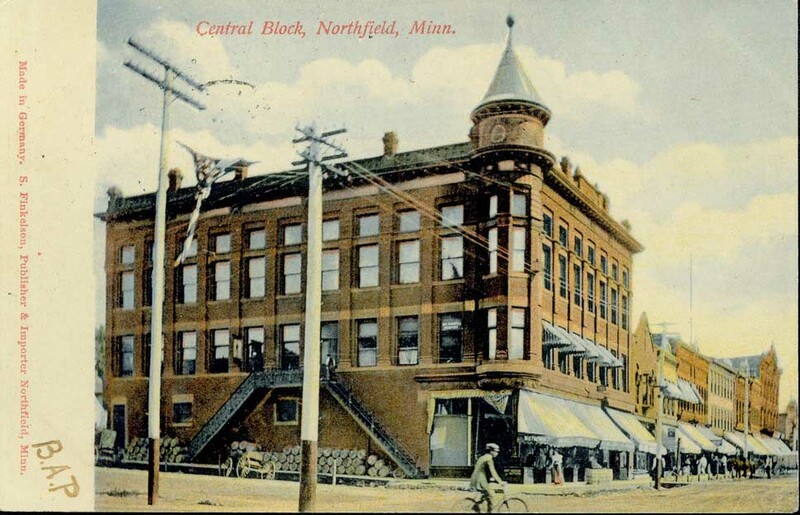 The Central Block was one of a series of block buildings constructed along Division Street in the 1880s and 1890s. Built in part as speculative ventures, block buildings had a variety of tenants. The Central Block is divided into three layers typical of commercial architecture: a ground floor retail store area set off by large windows; a middle floor designed to contain offices; and a top story for meetings and storage. The IOOF moved out in 1899 when it built a permanent Odd Fellows lodge west of town. The third floor space was then taken over by a factory that made Norwegian fladbrod, a traditional unleavened bread. In 1930, the third floor was remodeled as a dormitory for business and professional women, and in 1982, the space was renovated into loft apartments. 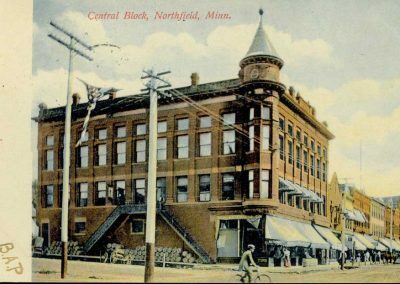 The second floor once held the offices and central switchboard of the Northfield Telephone Company, which later merged with the dominant Northwestern Bell Telephone Company. The second story has also housed a dentist’s office, a law firm, and a tailor. Today it still provides office space to local professionals. Two shops on the street level were originally occupied by C.R. Griebie’s grocery store and D.D. Turner’s drug store. From the 1940s through the 1970s, a Ben Franklin store occupied the space. The space currently houses the Rare Pair and the Monarch Gift Shop. A postcard of the Central Block. Central Block and Bridge Square.